The common squirrels of this area are the gray squirrel (shown here), the red squirrel, the fox squirrel and the flying squirrel. Squirrels are rodents and are usually about 7-9.8 inches in length. 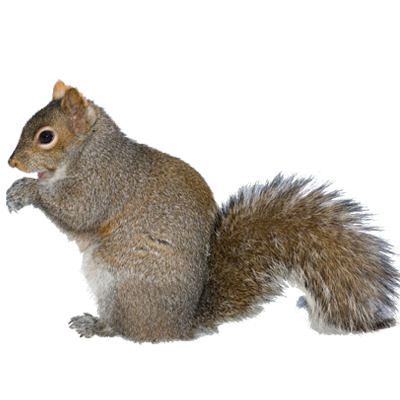 Squirrels are identified by their bushy tail and are often larger than chipmunks. Squirrels can be a challenging pest and can get in your chimney or attic space, make holes in your lawn and eat your garden.